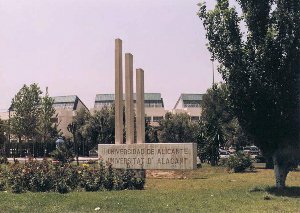 The University of Alicante was created in October 1979 on the structure of the UNIVERSITY STUDIES CENTRE (CEU), which was started in 1968. Thus, Alicante recovered in this way its university studies centre that was suspended in 1834, when -after two centuries of existence- its precursor, the University of Orihuela was closed. The University of Orihuela was created by means of a Papal Bull in 1545 and had kept its doors open for two centuries (1610-1808). The province of Alicante, therefore, has an important university tradition and rich heritage as can be seen through the present Santo Domingo School, the oldest building of the University of Orihuela, which today has been recovered, thanks to an agreement between the Diocese and the University. 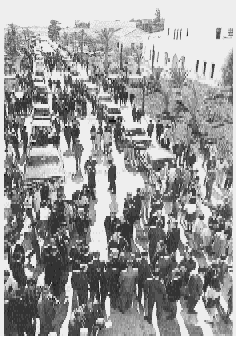 In this latest phase, university studies were resumed in the academic year 1968-69 with only 230 students. Currently this number has increased up to nearly 33,000, turning the University of Alicante into the university with the highest proportional growth of students among all of the Spanish universities. After almost twenty years of existence, the University of Alicante has a very significant potential for socio-economic development in the province, becoming the fourth in total GDP of Spain. The University of Alicante includes around fifty study programmes, over seventy university departments and research groups in the areas of Social Sciences and Law, Experimental Technology, Humanities, Education and Health Sciences and five university research institutes developing the most outstanding research activities in the country. Our University is the first company in the province of Alicante with over 2,000 employees (administrative and academic staff) and an annual budget of around 90 million Euros. It is indeed a referent for many companies with which it has contracts for technical assistance, technology transfer, internships, postgraduate education ... It is also a place of reference in international relations: conventions, university venues, mobility and exchange, cooperation between various innovative projects in various parts of the world. All of this makes our university one of the best campuses in Europe: one million square metres with the best urban design, the most innovative architecture in a framework of environmental excellence (green areas, landscaping, with pedestrian areas, as well as cultural, sports and educational facilities ...) and a wide variety of services. This University is located in the most strategic area of the province and the Spanish Mediterranean: direct communication with the A-7 (Mediterranean motorway) and the inland motorway forming crossroads on the edge of the Campus. 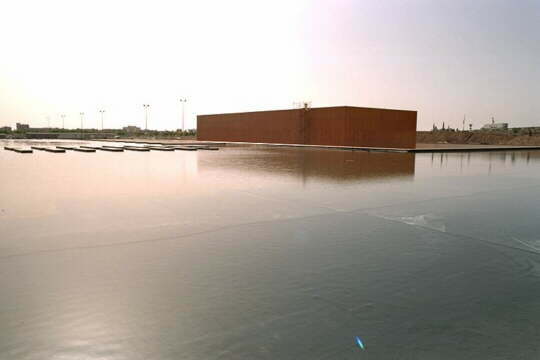 Five minutes from the capital of the province, 10 minutes from international airport El Altet, less than twenty minutes from the main industrial enclaves, less than fifteen minutes from nearby recreational areas (residential, beaches, golf courses...) and a railway line that surrounds the the west side of the campus and the future Science Park. Apart from the strong commitment to innovation and technology, the University of Alicante reaches the most prestigious heights in its firm commitment to culture and heritage. One of the finest European university museums, the Alcudia archaeological site, the best Valencian Renaissance building, University venue for two centuries in Orihuela (1610-1808): The historical University of Orihuela, the medieval Palace of the Counts of Cocentaina, the Benissa Palace-Houses... lead to a growing reputation in both national and international scope. 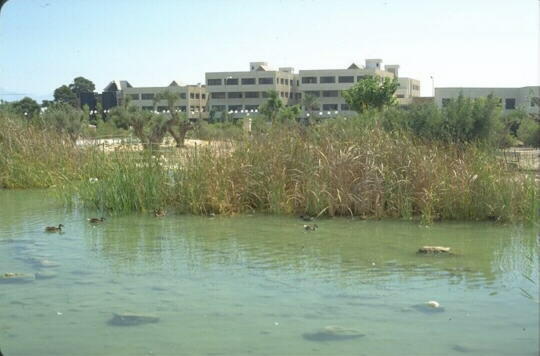 Within this setting, the University aims at progressively setting up one of the world's best science parks . It aims to gradually materialise the investments requested for teaching and research equipment and infrastructure, which will complete a top University infrastructure within the European setting.